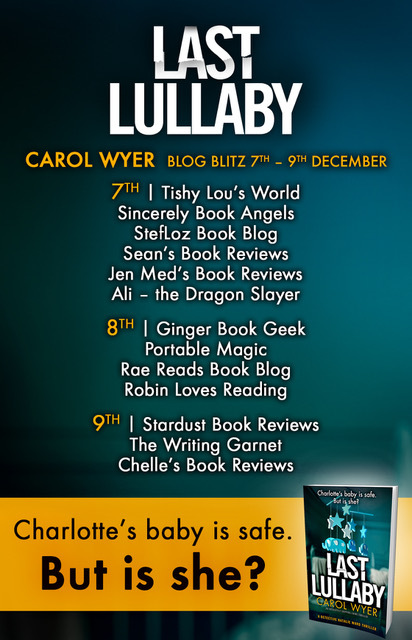 Today is my stop on the Blog Blitz for Last Lullaby by Carol Wyer. As Natalie begins to delve deeper into the couple’s lives, she discovers that Adam has a dark past he’s been hiding and she’s sure that the Brannon’s teenage babysitter Inge has secrets of her own. Then another mother is murdered on her doorstep in front of her young son, the word ‘why’ scrawled on the wall next to her. All the key suspects have alibis and with her own marriage hanging by a thread, Natalie is struggling to stay focused on cracking her toughest case yet. When a young woman and her baby disappear, a member of Natalie’s own team is put in terrible danger. Can Natalie stop this twisted serial killer and save one of her own before more families are torn apart forever? Gripping, fast-paced and nail-bitingly tense, this book will send shivers down your spine. Perfect for fans of Angela Marsons, Rachel Abbott and Karin Slaughter. Adam Brannon, semi-pro boxer, is the number one suspect in the murder of his wife, Charlotte. His story is that he found her brutally murdered in their bedroom while his six-month old son, Alfie, was screaming in his nursery. They had arrived home after celebrating her parents’ anniversary. His story is that sometime after they arrived home and after he dropped their babysitter off he discovered her body. DI Natalie Ward is on a few days leave for much-needed time with her family. Her marriage may be in trouble so she really needs this time. However, she is called to the gruesome murder scene along with her team. When they arrive, many observations were made. First and foremost, blessedly, the baby was unharmed. Also, there was no evidence of a break-in and between pictures on the bedroom wall was one word: ‘why?’. As always in murder investigations, those closest to the victim are under immediate suspicion. Aside from Adam, Natalie speaks to others in Charlotte’s life including the babysitter, as she apparently was the last to see her alive. Also, two men were seen fleeing from the scene and the detectives work very hard to identify them. Within a short period of time, quite a few facts are revealed about Charlotte’s and Adam's marriage and their lives. There was quite a bit of intrigue in this engaging story and I was caught up in the investigation. This was especially so when two further things were mentioned in the book. One, there was a mysterious individual in the story, but I will leave it at that. Second, there was another mother murdered, with very similar circumstances. 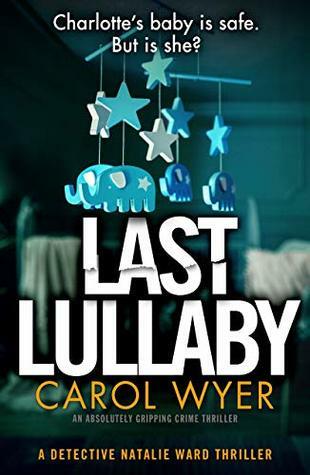 Last Lullaby was ripe full of excellent character development, lots of twists and turns and a shocking conclusion. It is the second book in the Natalie Ward series. 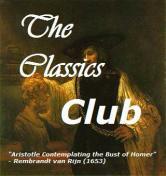 The first book was The Birthday, was a fabulous read. I daresay that this story is just as good, if not better. Although it does well as a stand-alone, I encourage readers to grab both of these stories, and everything else that Carol Wyer has penned. She is extremely talented and writes compelling stories. I very much look forward to continuing this series. Reviewer’s note: This book is definitely worth five stars as it is extremely well-written and has a very strong plot, but I did want to mention that there is a prevalence of strong language. Many thanks to Carol Wyer and Bookouture for this ARC for review in exchange for an honest opinion. My review for The Birthday can be found here: https://www.robinlovesreading.com/2018/09/blog-blitz-birthday.html. 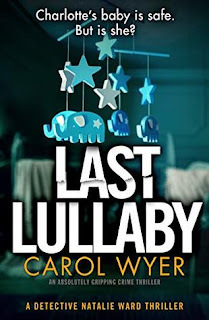 Carol E. Wyer, who also writes as Carol Wyer, is an award-winning author and stand up comedian who writes feel-good comedies and gripping thrillers. Her book, Grumpy Old Menopause, won The People's Book Prize Award for non-fiction 2015. The DI Robyn Carter series has earned her acclaim as a crime writer and the first book in the series, Little Girl Lost, shot to the #2 best-selling spot on Kindle #9 best-selling audiobook on Audible, and was also a USA Today top 150 best-seller. 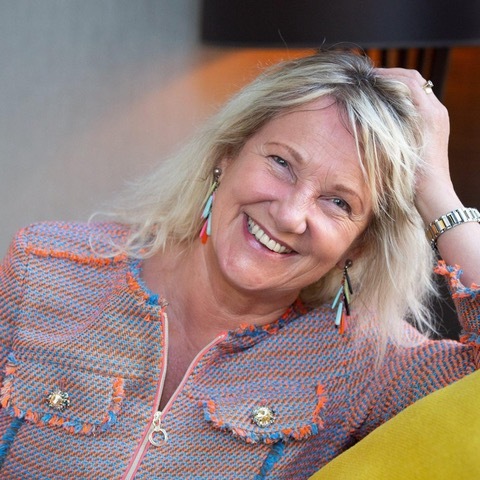 Carol has been interviewed on numerous radio shows discussing ''Irritable Male Syndrome' and 'Ageing Disgracefully' and on BBC Breakfast television. She has had articles published in national magazines 'Woman's Weekly' featured in 'Take A Break', 'Choice', 'Yours' and 'Woman's Own' magazines and the Huffington Post. 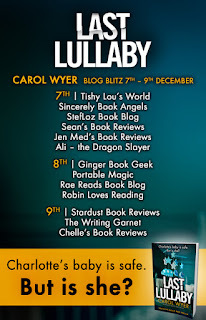 To learn more about Carol, go to www.carolwyer.co.uk or follow Carol on Twitter: @carolewyer. Carol also blogs at www.carolwyer.com. This sounds like something I would really enjoy. Thanks for sharing. I think this would be an interesting read. I love the sound of this. I'm a fan of thrillers. This Reminded me of 'Red John' from 'The Mentalist' series.